Roast chicken is a must have and a perfect marriage with the Patak's mango sauce. Roast the chicken at 180 degrees Celsius for 25 minutes or until cooked and carve. Combine all the given ingredients together and bring to the boil while stirring. 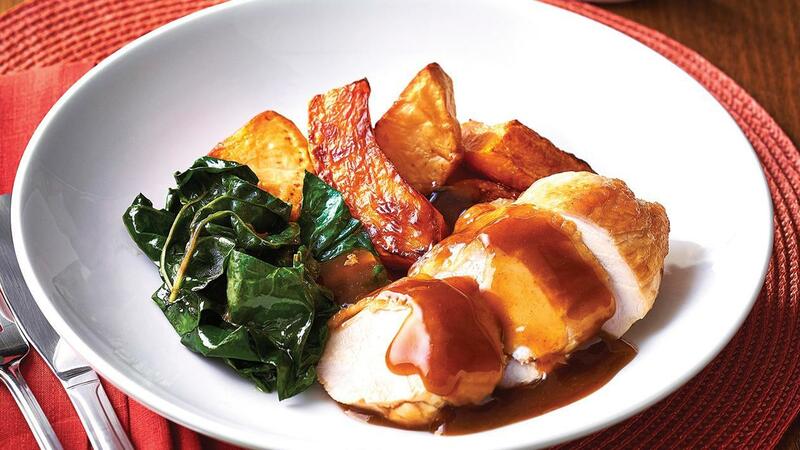 Serve sauce with roast chicken and vegetables. May serve with Roast Potato or Pumpkin or Silver Beet.